Que lindas inspiraciones me encantaron todas. I LOVE THESE!!!!! So wonderful. I think I need all of these!! Loved equally!! I think I love the black purse in the top right outfit. That outfits my fav! 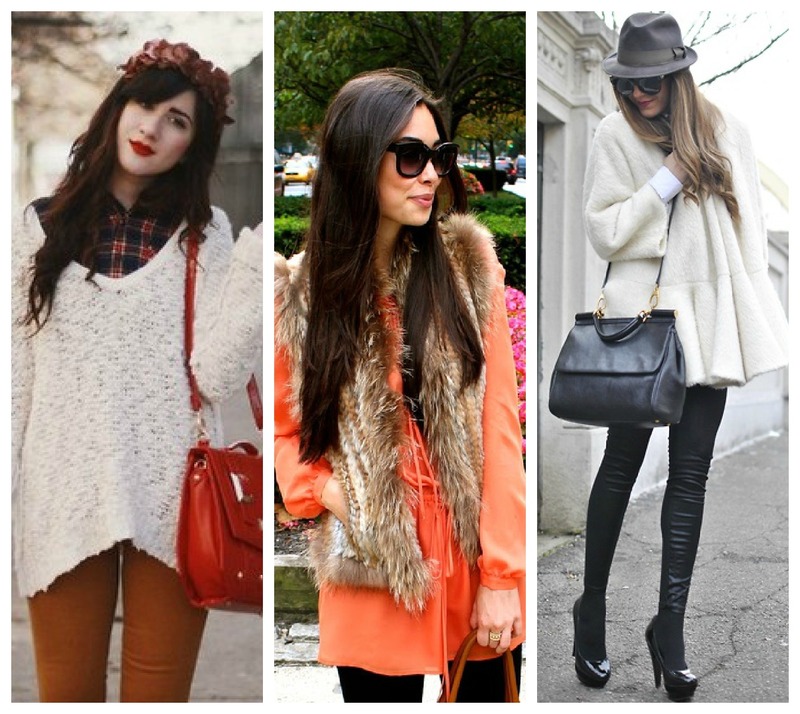 I love all of these outfits, especially the fur one. Really like these blogging ladies! They're all so inspiring. The bottom middle is the best. 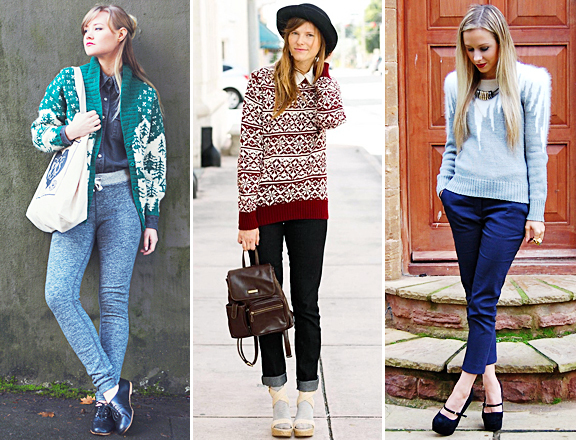 That sweater is super cute and the hat with cuffed jeans gives it that fun tom-boyish style.